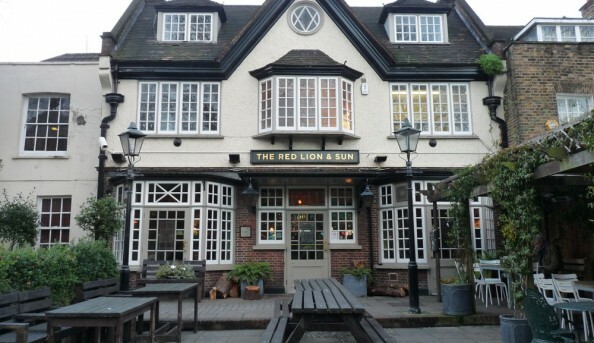 Since the 16th century there has been a public house on the grounds exactly where Red Lion & Sun is located in Highgate Village. Everyday from noon to 10 p.m. the chef serves a delectable and scrumptious meals like the original fish and chips, burgers served with different cocktails of your choosing. While enjoying some of the best Sunday roasts with the family make sure to bring your furry family member as well since they are more than welcome. Send an email to Red Lion & Sun.